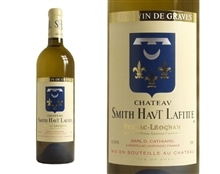 Thanks to its 55 hectares of superb gravelly vineyards, Smith Haut Lafitte is often referred to as the « archetypal Graves ». The estate’s history goes back to the crusades, and a Scottish navigator, George Smith, became owner of the estate in the 18th century. He was followed by M. Duffour-Dubergier, Mayor of Bordeaux, and then Louis Eschenauer, a famous wine shipper. In 1990 Daniel and Florence Cathiard also fell under the spell of this beautiful estate. Since then, they restored the 16th century tower, renovated the 18th century manor house, built two underground cellars, went back to traditional vine growing methods without chemical herbicides and set up their own cooperage.